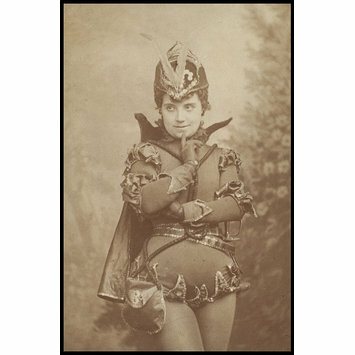 Photograph of Lizzie St. Quentin possibly as Mephisto. 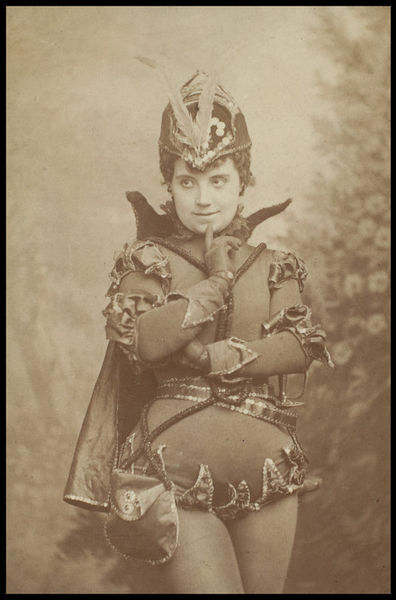 Sepia photograph of Lizzie St. Quentin possibly as Mephisto. 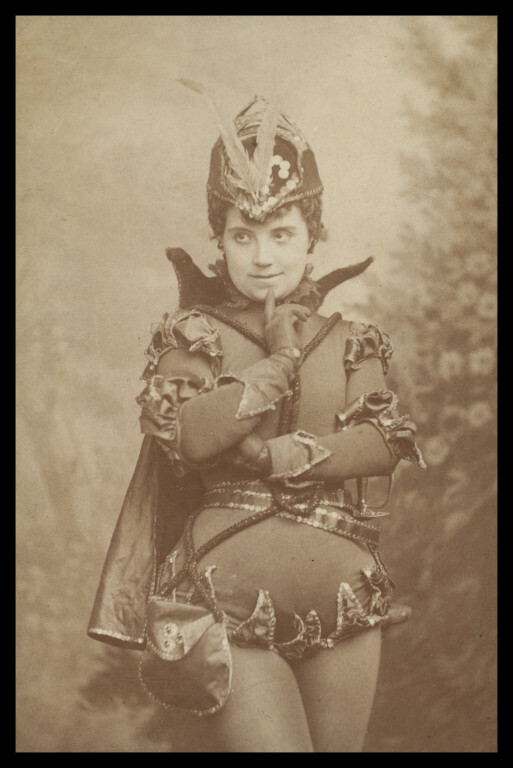 Written in pencil on the back of photograph.